Even though the December holidays are just ending, this is my favorite time to look ahead to Valentine's Day. Lest I be greeted with a barrage of moans and groans, here are a few Valentine's Day treats for all attitudes! 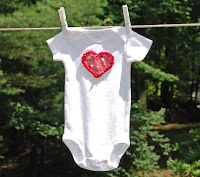 Tactile Baby's awesome bodysuit helps you show off the love of your life in style. ReclaimedtoYou's Peppermint Scarf warms anyone up in the winter. 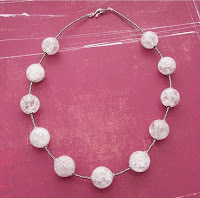 LushBead's Modern Love Necklace will make her swoon. Hypothesis' Robert Browning cuff is the perfect unisex gift.